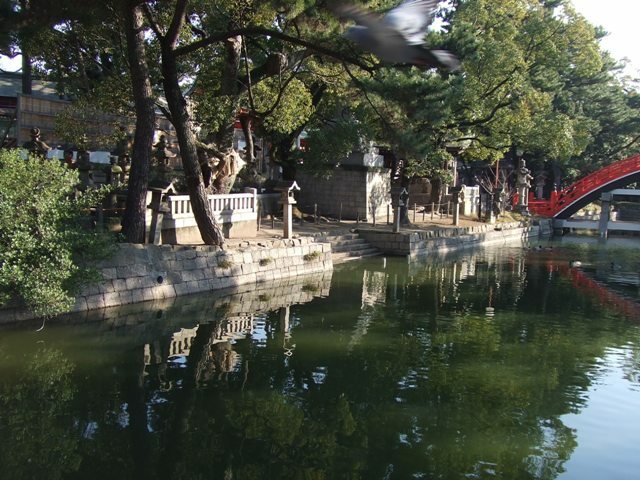 When does the water run at Misogi no Taki at Sumiyoshi Grand Shrine? 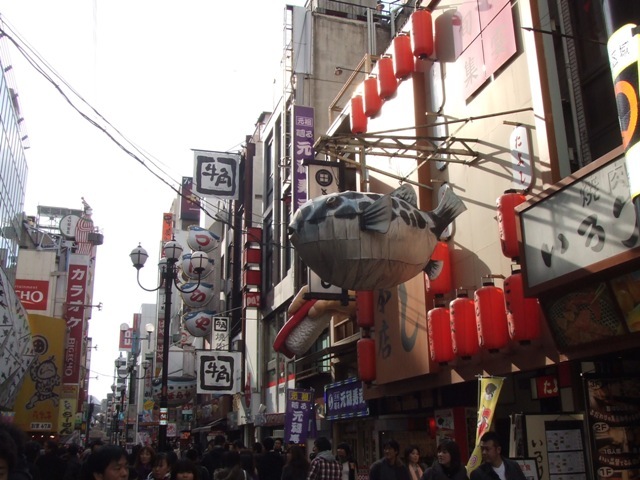 Minami Area (Namba~Shinsaibashi Area) is very crowded, and noisy. When you want to be surrounded by this noisiness, it’s OK, but many people don’t always feel that way. 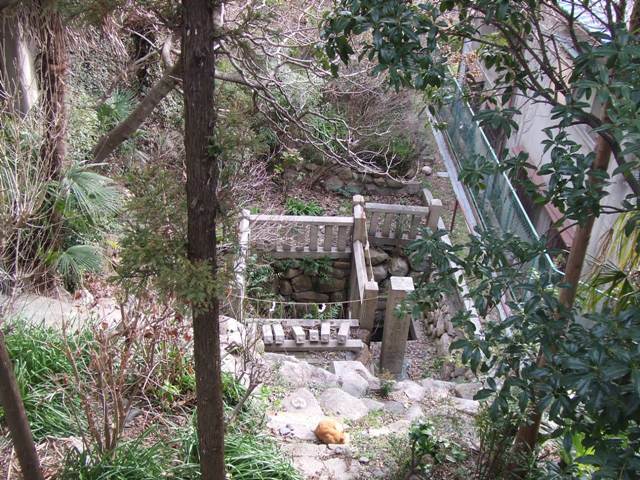 It seems difficult to find a quiet place, but there is a quiet oasis in Shinsaibashi. 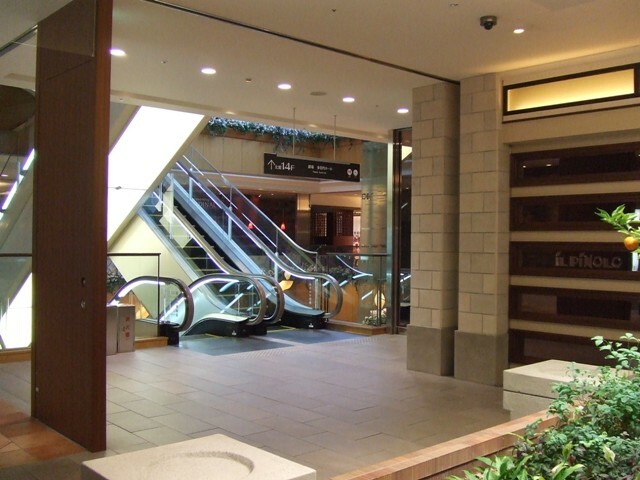 There are two Daimaru Department store buildings just above Subway Shinsaibashi Station. 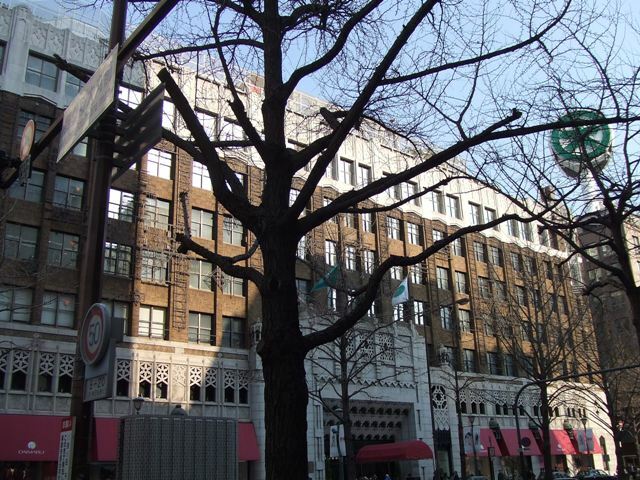 The older building is their original building designed by an American architect, William Merriell Vories, and built in 1932. 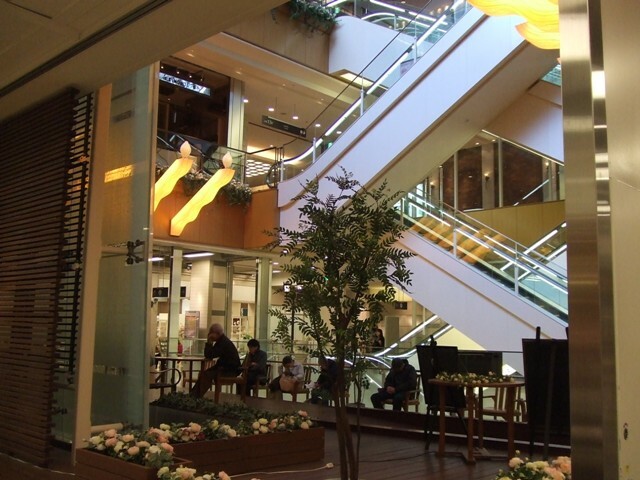 The newer building is a former Sogo Department Store, and now it is Daimaru’s property. 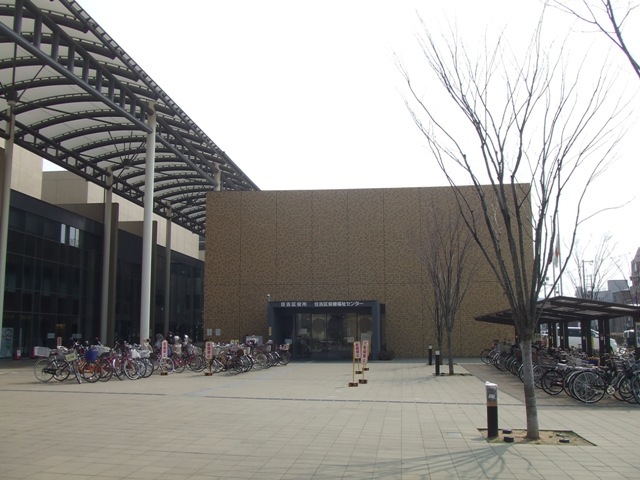 The oasis is in this newer building, called Daimaru North Buiding. Go up to the 12th floor. 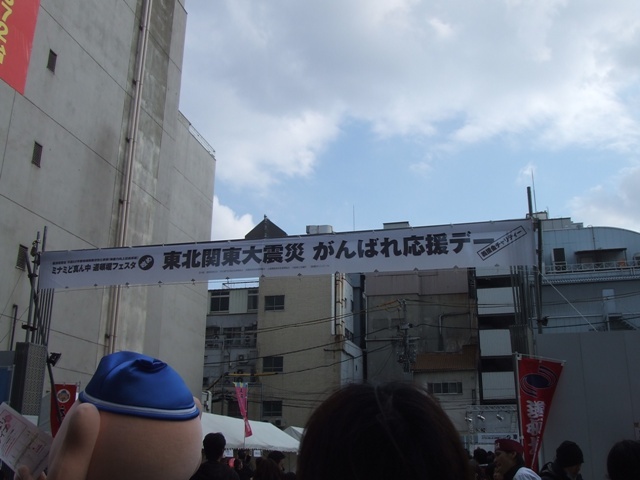 On weekend, there is an event, but on weekdays, it is usually quiet. 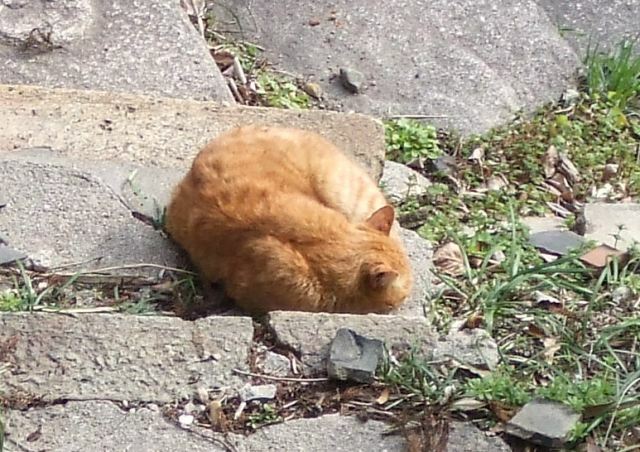 Some people are actually taking a break, and even taking a nap. 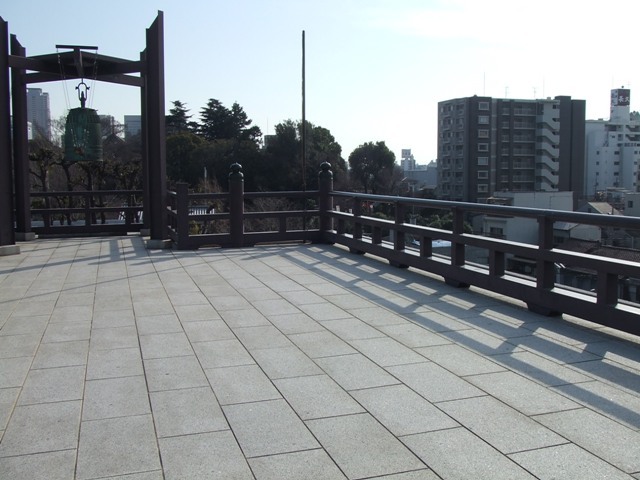 There are cafes on 13th floor that you can enjoy the spacious view and quietness. 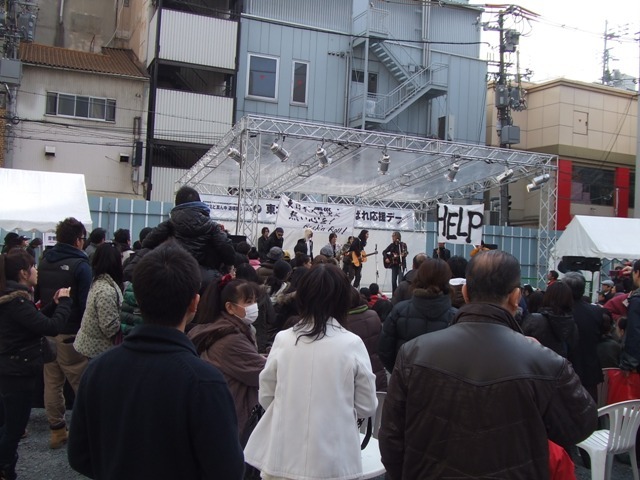 The charity event for the earthquake and tsunami survivors in Tohoku and Kanto Area is going on today. 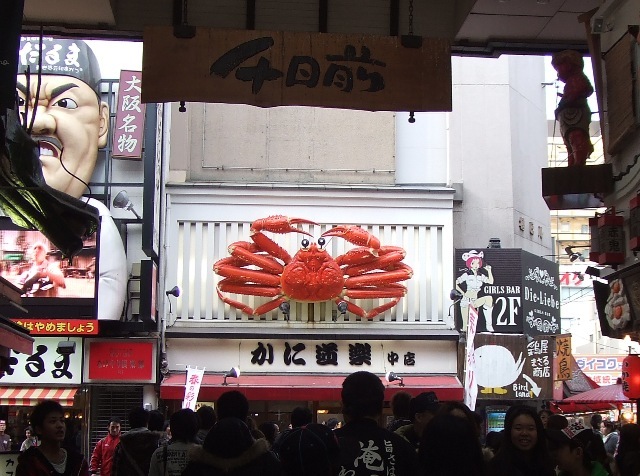 I really hope the people in the affected areas stay healthy, and the situation in Fukushima will get better. 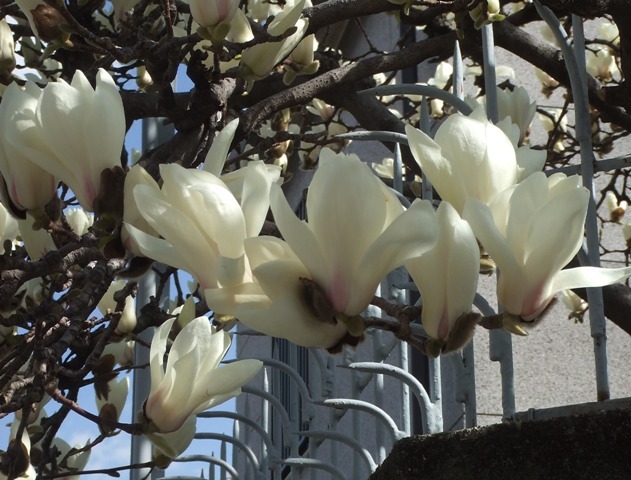 The season of flowers has started. 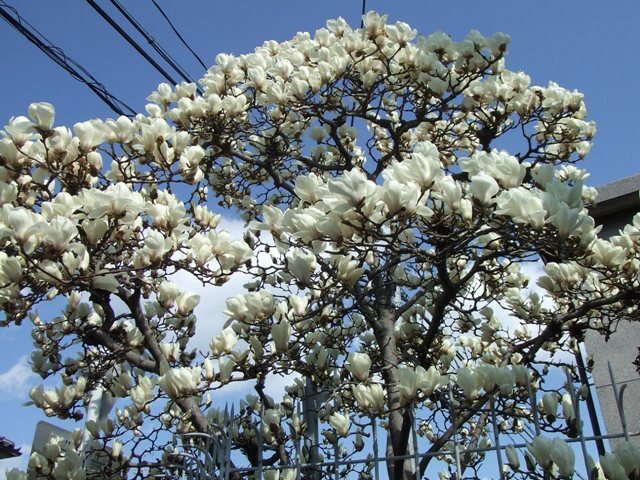 These are flowers of a Japanese Magnolia, Mokuren tree. It was cloudy around Lake, but the lake looked very calm. Lake Biwa is the biggest lake in Japan, and it is as if it was saying, “It is going to be OK”. 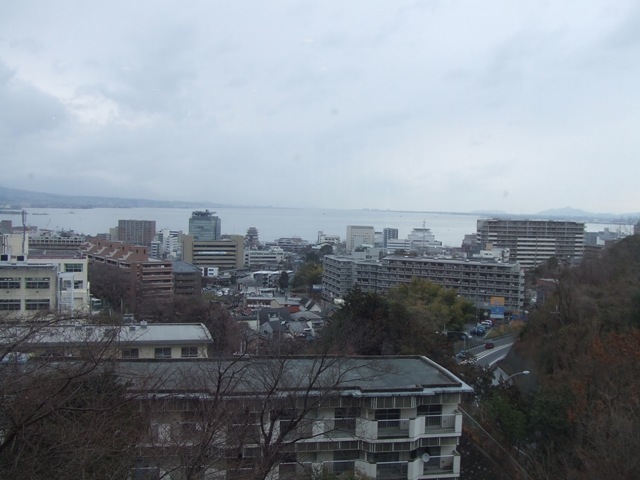 At a restaurant which had this view, I had Oyako Donburi. “Oya” means a parent. Here, chiken is a parent. “Ko” means a child. Eggs are children. Domburi means a bowl. In cooking term, it’s a bowl with rice and some ingredients. 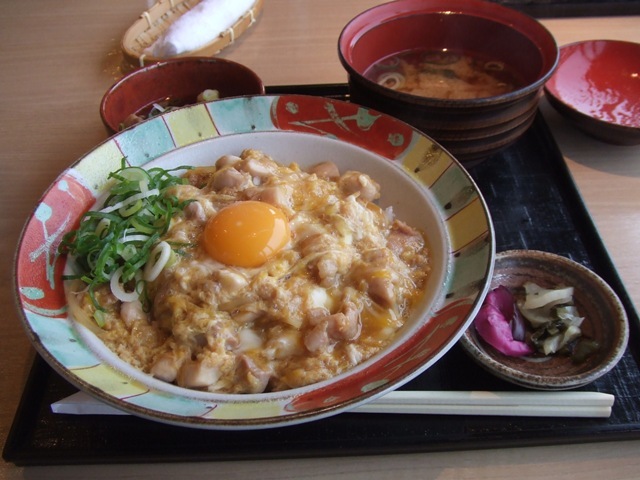 Usually Oyako Donburi doesn't have an egg yolk on it, so this restaurant offers a special one. What I can do now is to donate to relief fund. 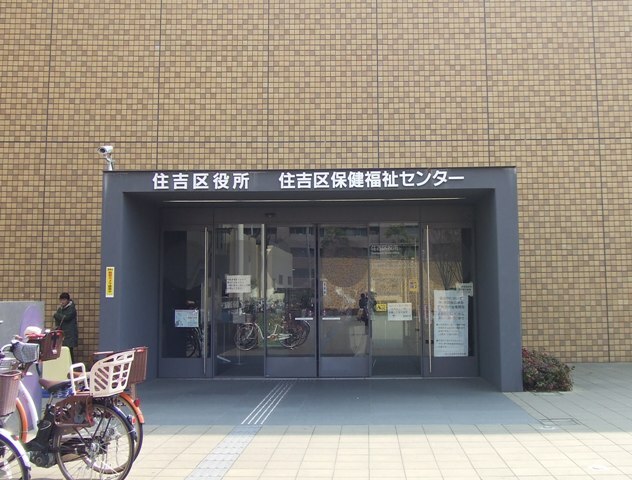 I went to the local ward office. There is a donation box at the entrance. 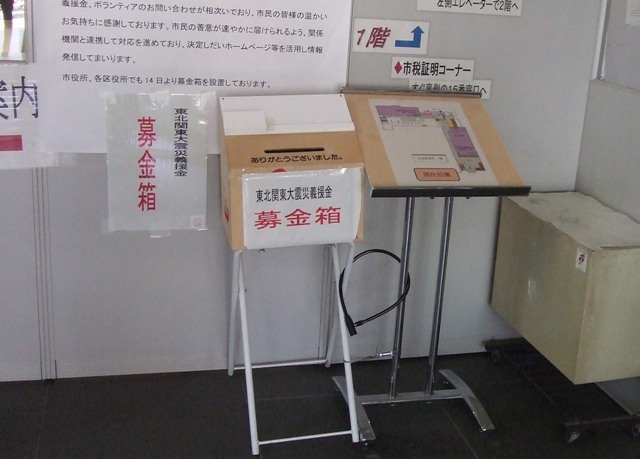 In Osaka City, each ward office has a donation box like this. 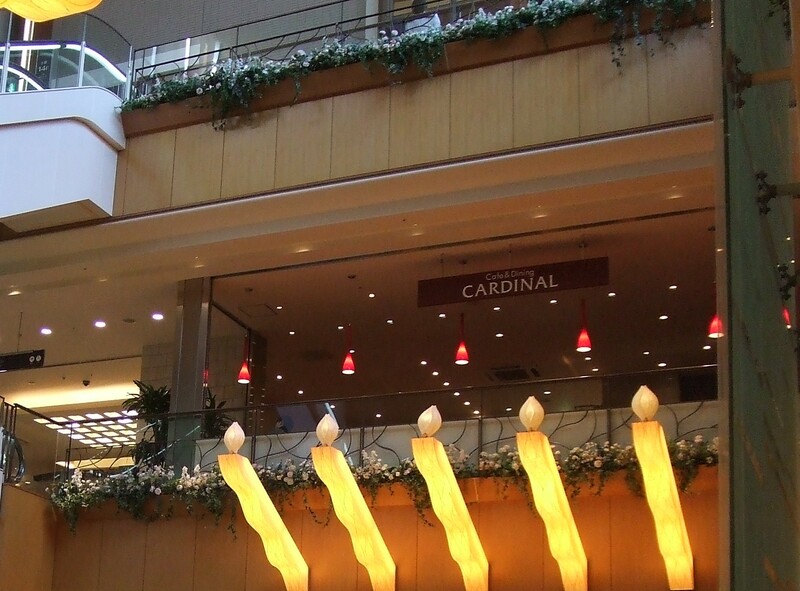 There are donation boxes at major department stores and shopping areas. 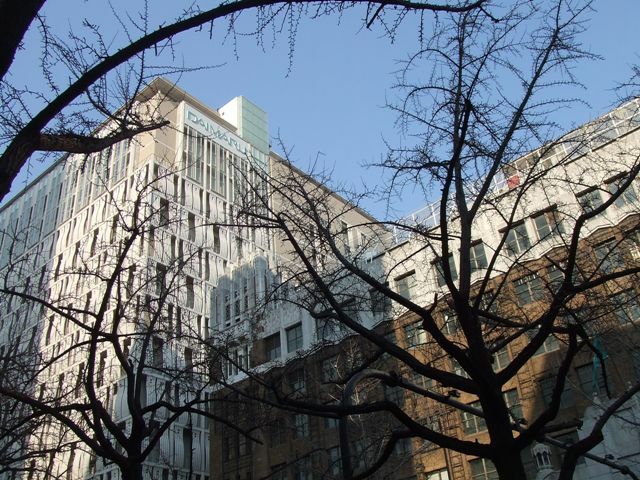 According to the newspaper yesterday, the hotels in Osaka are full because foreign companies based in Tokyo have temporary offices in the hotels in Osaka. I pray for the safety of survivors, and the safety of the affected areas. The earthquake in northeastern part of Japan is so devastating. 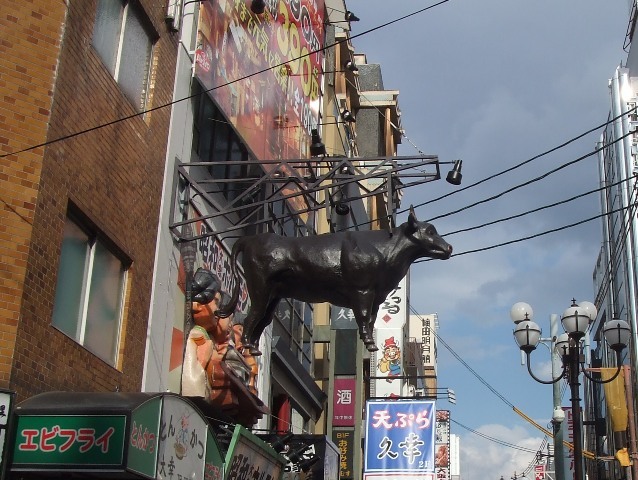 Osaka is OK, this time, but the large area of Japan has got so much damaged by the quake and tsunami. The rescue teams from abroad are grateful. 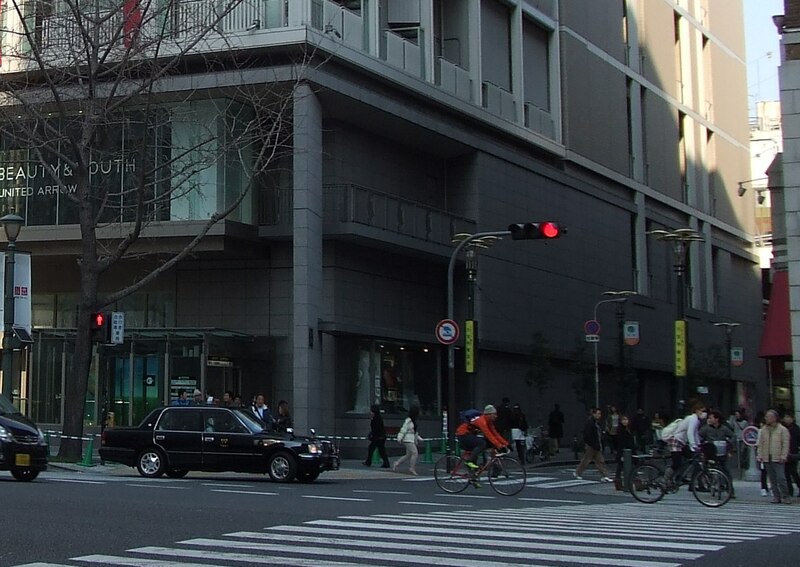 For you information, here is the address of multilingual radio programs from Japan. 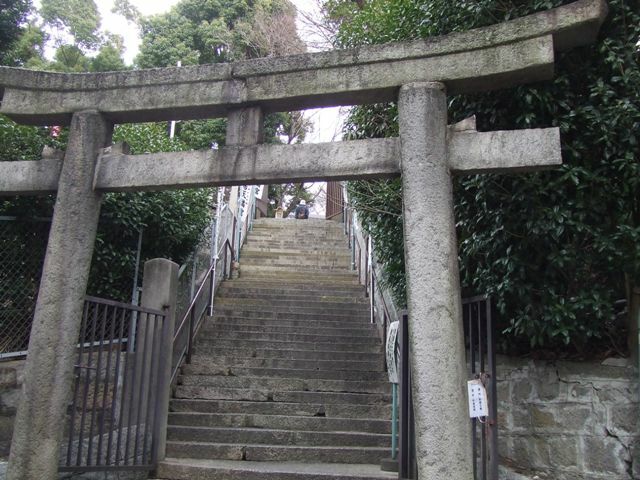 At the end of Tenjin-zaka, there are stairs to go up to Yasui Shrine. 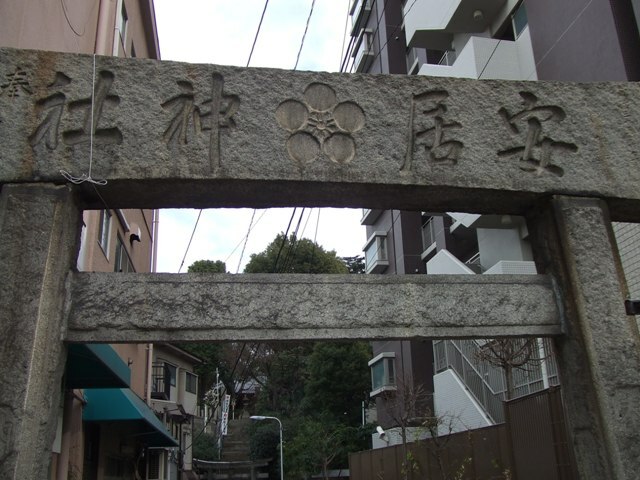 Like other many old shrines in Osaka, it is unknown when this shrine started. 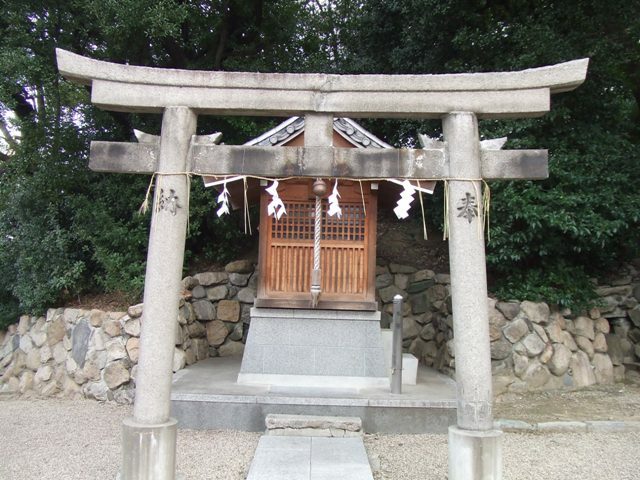 Tenjin, or Sugawara Michizane, and Sukuna Hikona, a character which appears in old historical legend are enshrined. 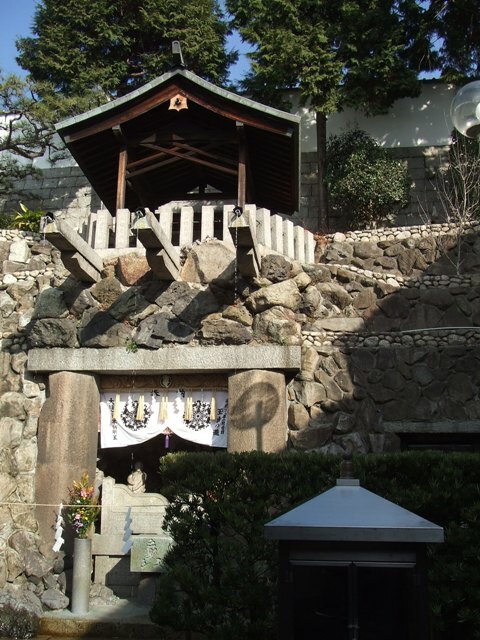 There are small shrines too. 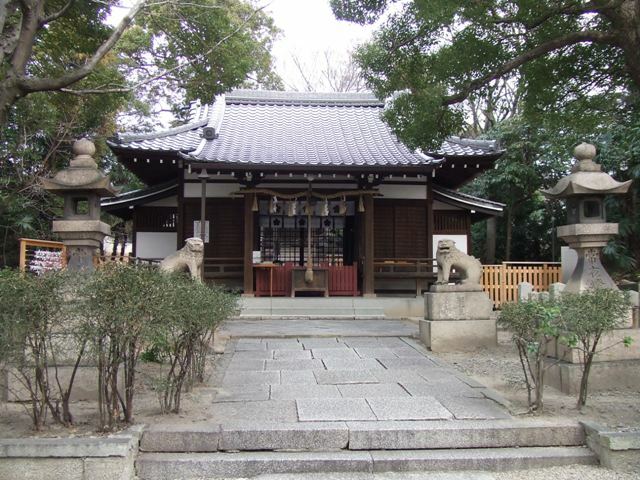 What is famous about Yasui Shrine is that this is the place where Sanada Yukimura died. 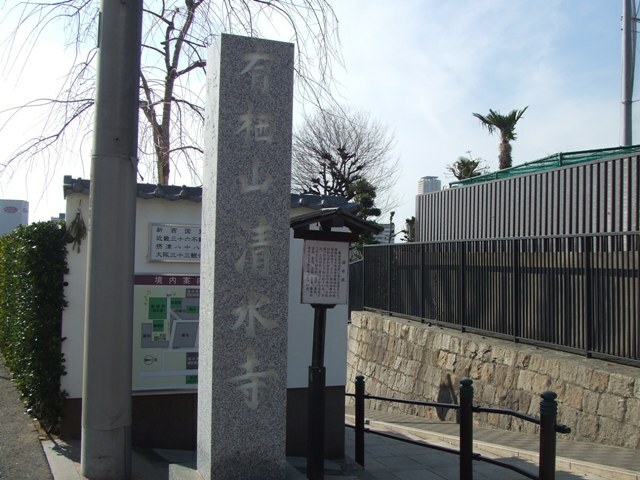 At the battle of Sekigahara in 1600, Tokugawa won against Toyotomi. 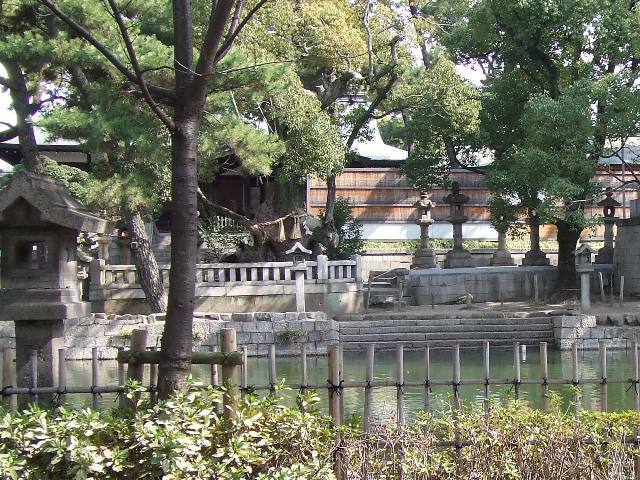 However, Tokugawa wanted to terminate the bloodline of Toyotomi, and the battles were taken place in Osaka in 1614 and in 1615. 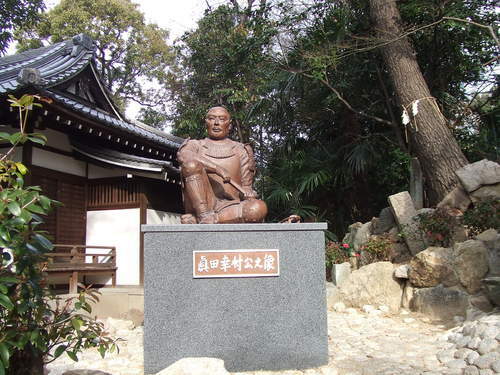 Sanada Yukimura fought for Toyotomi till the end. 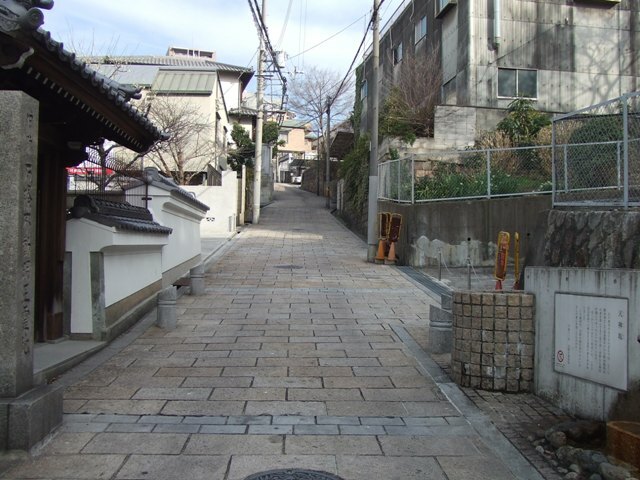 Nowadays, Sanada Yukimura is a popular character in video games in Japan. 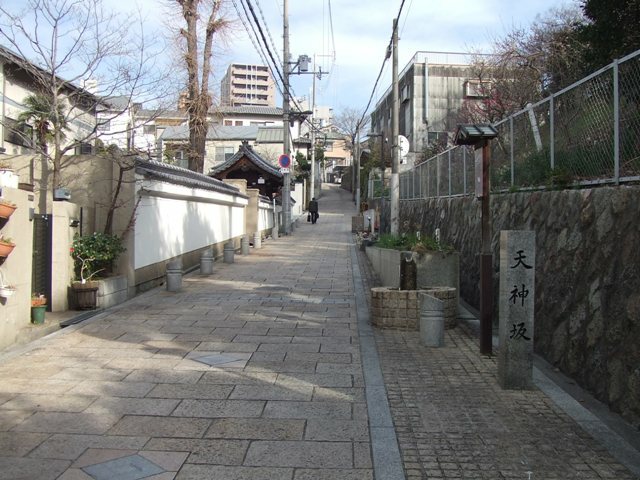 There are seven prominent slopes in Tennoji area. 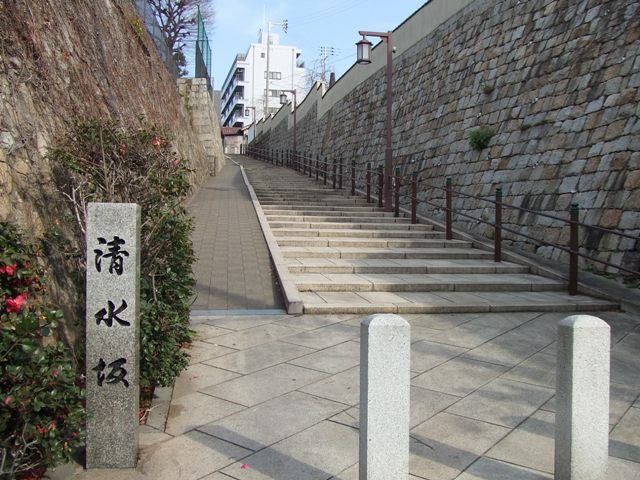 Since this area is on Uemachi Plateau, there are lots of ups and downs. 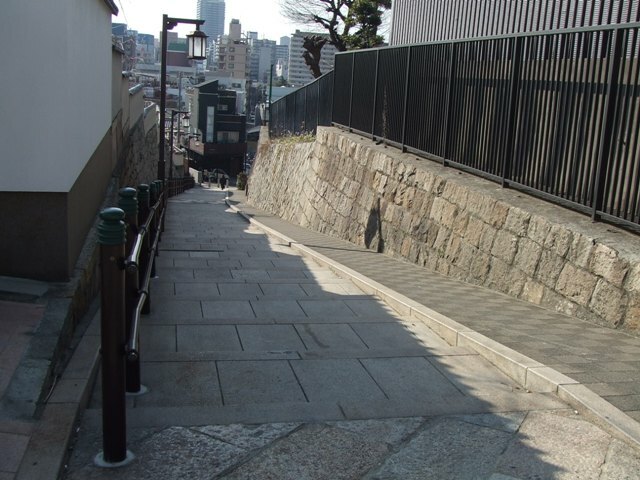 Just beside Kiyomizu Temple, there is the slope called “Kiyomizu-zaka”. 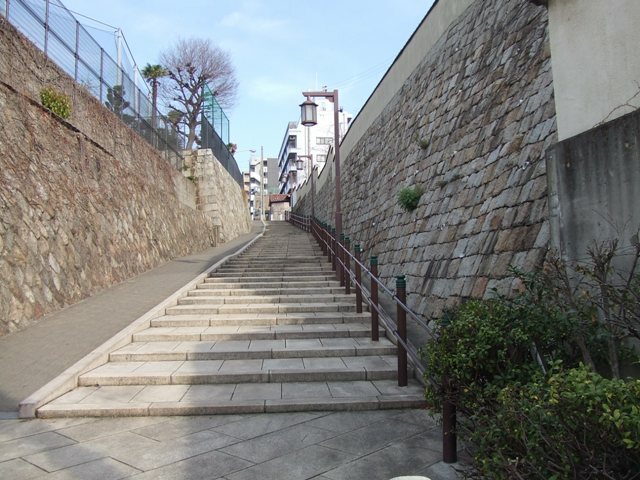 Not so far from Kiyomizu-zaka, there is another slope called “Tenjin-zaka”. 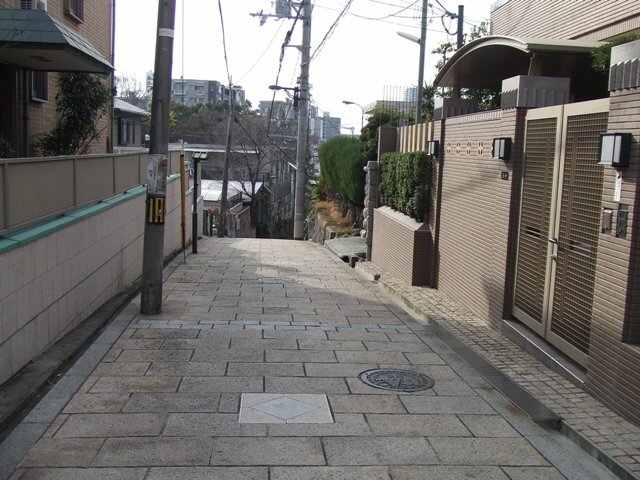 There reason why it is called “Tenjin-zaka” is that this slope leads to “Yasui Shrine”, which enshrines one of deities, “Tenjin”. 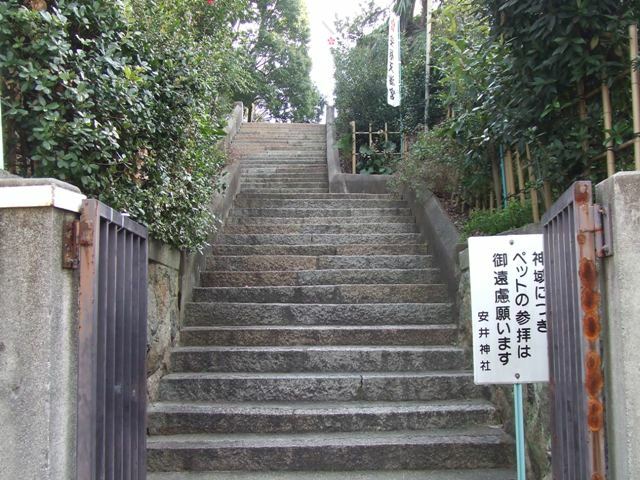 Kiyomizu Temple in Kyoto is very famous. 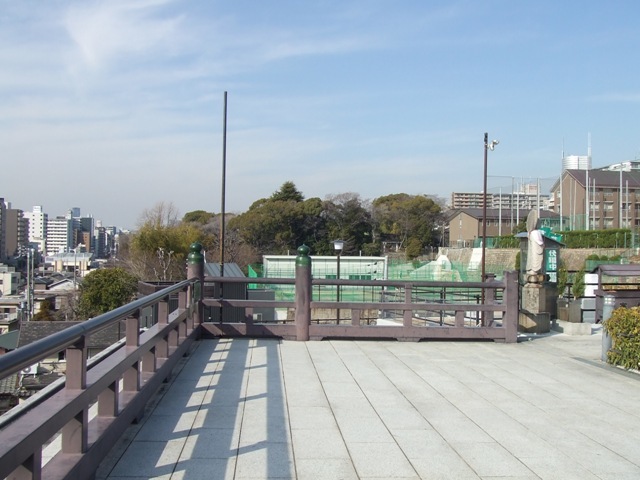 Actually, there is Kiyomizu Temple in Osaka as well. 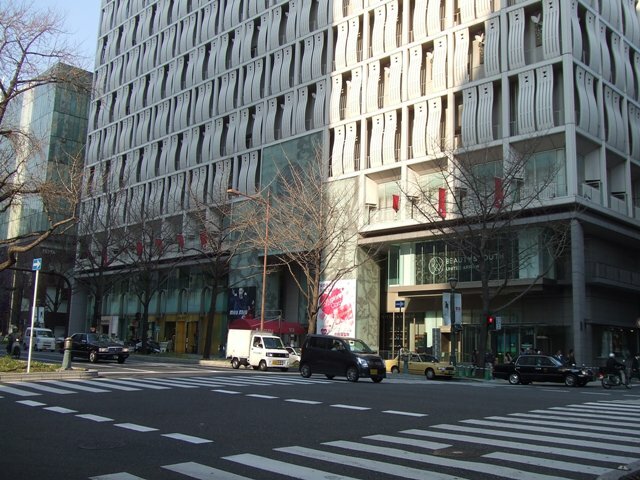 Unfortunately, their main building got damaged caused by heavy rain, and the new one is under the construction. 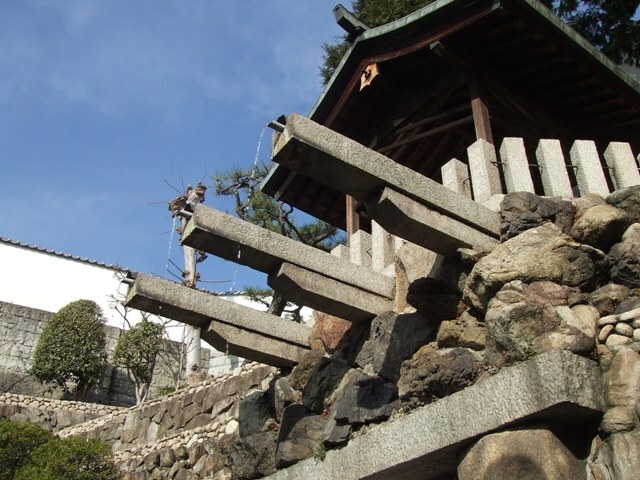 However, you can see two distinguished features of Kiyomizu Temple. 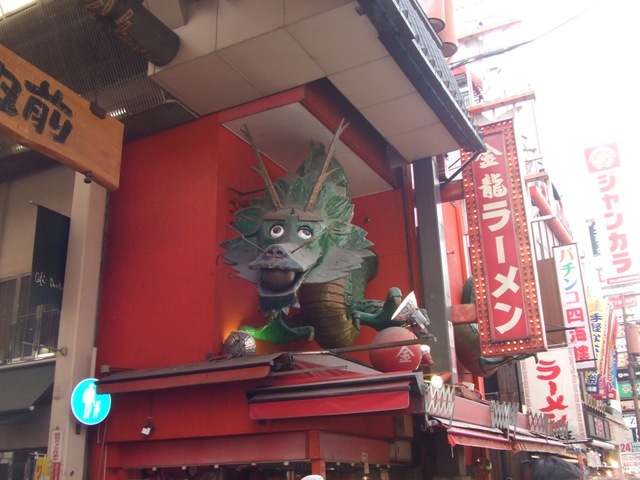 One is a stage….like the one in Kyoto. 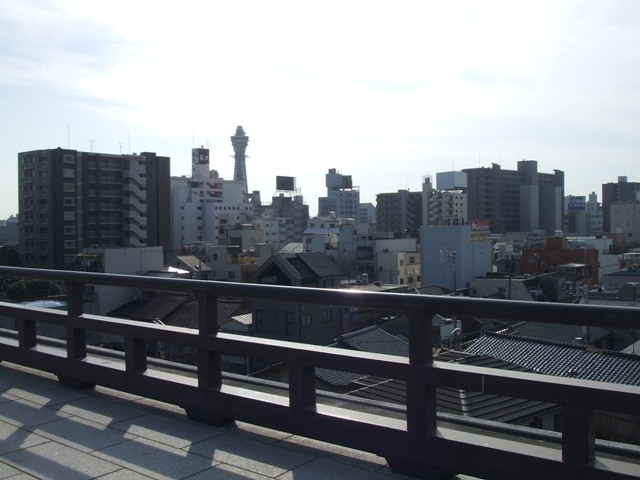 You can see the symbol of Osaka, Tsutenkaku Tower. 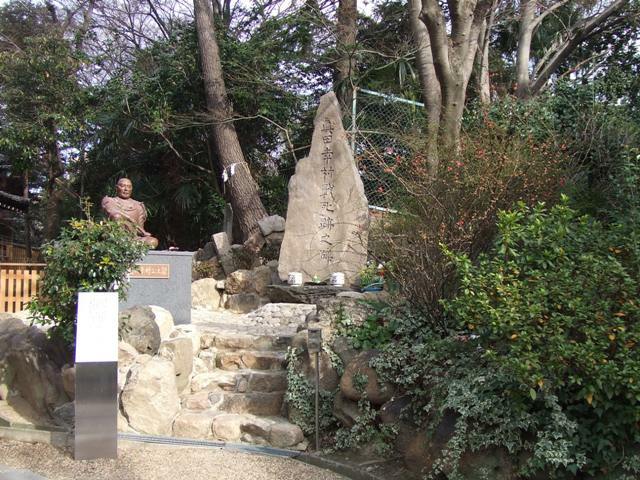 The other is a waterfall called “Tamade no Taki”. 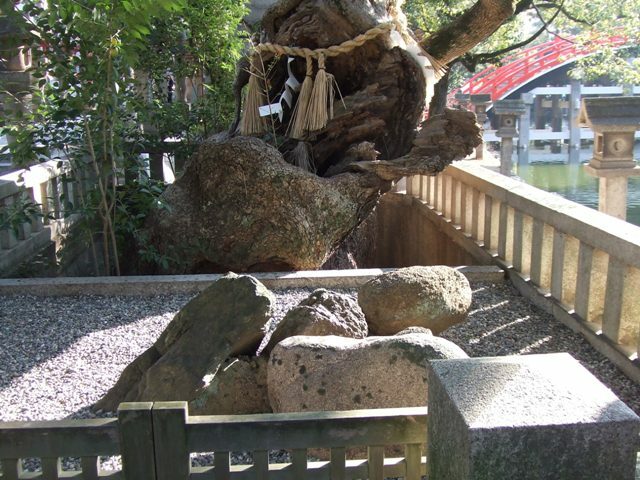 Well, in Kiyomizu Temple in Kyoto, there is “Otowa no Taki”, which looks very similar. This waterfall is the real one. The water runs naturally, not from the tap. 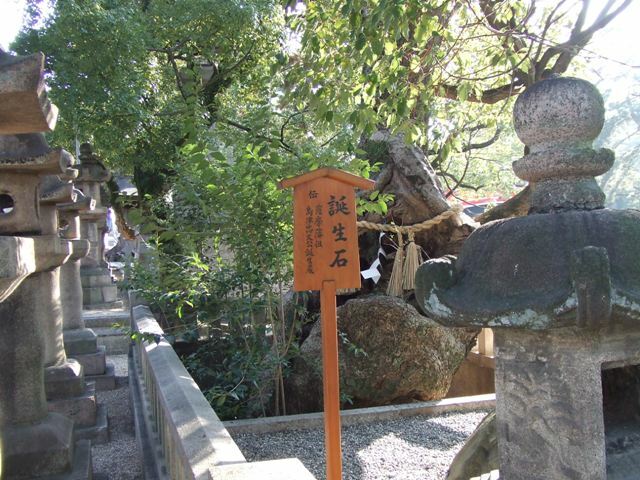 It is said that Prince Shotoku admired its spirituality. 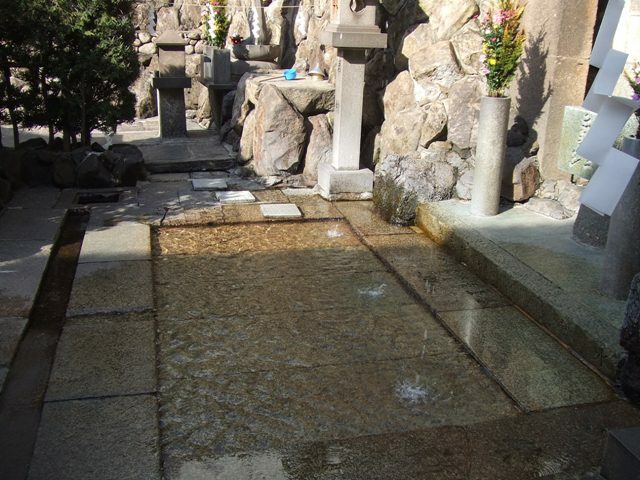 There are the stones which are called “birth stones” in Sumiyoshi Grand Shrine. 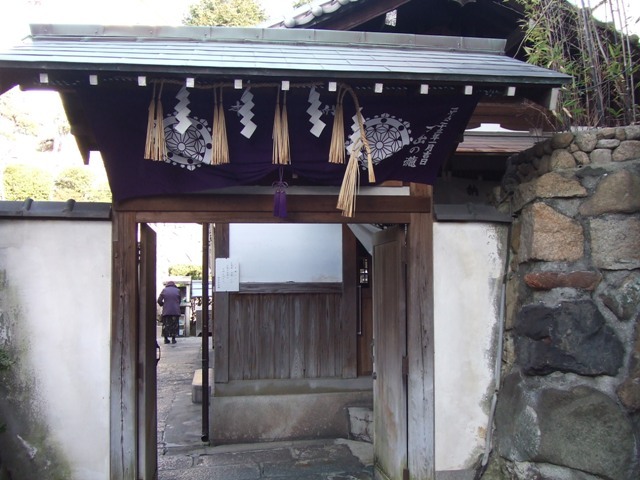 It is said, Shimazu Tadahisa was born here. 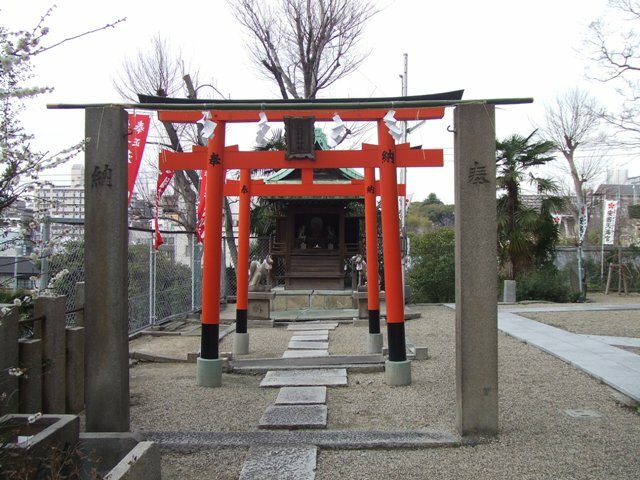 Shimazu Tadahisa lived in 13th century, and is a founder of Shimazu family who reigned Shimazu-han (now it’s Kagoshima Prefecture) for several hundred years until the end of Edo era.